Unlike Tesla, which loses over $1 billion each quarter, GM CEO Mary Barra says that it will make selling electric cars a profitable business. Boldly, she says that GM will accomplish this by 2021, reports Reuters. Though Barra failed to elaborate exactly how GM plans to do that, a handful of unnamed GM and supplier executives, interviewed by Reuters, shed some light on the potential process. The price of cobalt – the single most costly ingredient in current lithium-ion battery cells - has soared in the past two years in expectation of a surge in demand from automakers. Cobalt prices hit a record high this month on the London Metal Exchange. Additionally, engineers are also working on more efficient battery packaging and bettering energy flow and cooling systems to the battery cells. Through all of this, according to Reuters, GM says that battery costs are expect to fall by more than 30 percent, which will bring down the overall price of the car. We are expected to see a new battery system between 2020 and 2021. This is a bold claim indeed! 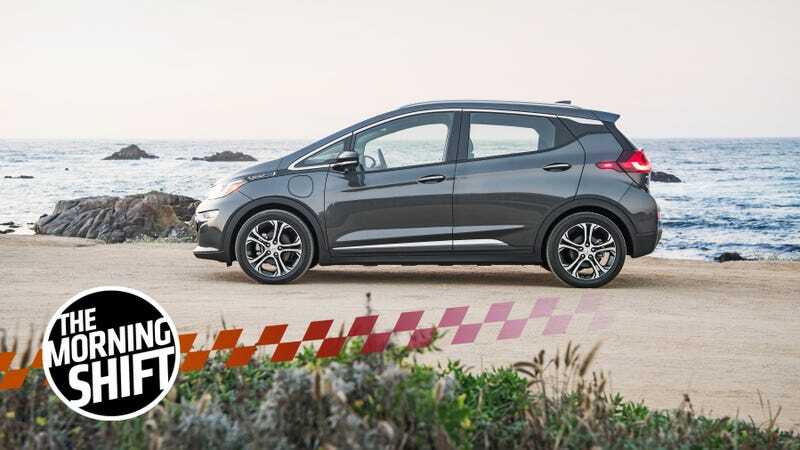 But if GM is successful in pulling it off, and is able to dramatically decrease the price of the Chevrolet Bolt, then it just might have a chance. Aston Martin, which is currently owned by a group of investors, including two Kuwaiti companies, is planning an initial public offering. [This] valuation [would include] debt that would put it on par with Ferrari NV, said the people, who asked not to be named discussing private deliberations. Investors’ interest in an IPO this year could be bolstered by the planned expansion into the lucrative sport utility vehicle segment starting in 2019, the people said. Bloomberg points out that an Aston Martin IPO would be a good test for how investors feel about British companies ahead of the UK leaving the European Union in March 2019. Aston Martin has declined to comment for the outlet. Aston Martin had a great year of sales in 2017, which I’m sure will also help boost peoples’ confidence in the company. It has to look its best if it wants investors to buy a slice. Uber might have started the trend, but various new taxi and ride-sharing startups are popping up locally in Europe to compete for business. Among them, according to Bloomberg, are Taxify OU, which is an Estonian startup that’s looking to raise $50 million in the first quarter for expansion, and Mytaxi, a “black-cab taxi app backed my Daimler.” New services and startups have been especially interested in London, Europe’s biggest market. The rise in new companies, in part, has to do with Uber’s recent issues with regulations. Last month, the EU’s highest court declared that Uber is now considered a taxi service and Europe and must comply with local transportation rules. But that’s how it works, right? You create one company and others are allowed to create competitors. Ah, yes: Crossovers. Did you hear that car buyers love the things? Striking while the iron is hot, Cadillac told us last year that it is planning on adding “a whole range of crossovers” in order to fill out its admittedly crossover-thin lineup. The XT4 will have a dual mission for GM. The first is to give SUV-loving luxury buyers more options in Cadillac showrooms. The second is to make better use of the automaker’s Fairfax assembly plant in Kansas at a time when auto companies are laying off workers who make passenger cars and contemplating whether to keep making their slowest-selling models. Sure, Cadillac! You do you. If you sell enough XT4s (which I am certain that you will) I hope you will also consider putting the Escala into production. As you already know, China is currently the world’s biggest car market. And domestically, Volvo’s Chinese owner, Geely, did exceptionally well last year. Geely Automobile Holdings Ltd’s net income increased nearly 100 percent, the company said today, reports Bloomberg. Geely predicts that deliveries will “rise 27 percent to 1.58 million units this year” after last year’s strong demand. This could make it the strongest-selling domestic brand in China, analysts say. This is likely great news for companies that Geely owns, like Volvo Cars and Lotus. Flush with cash, Geely put $3 billion into Volvo Trucks last month. Under Geely’s ownership, Volvo has continued to thrive, producing lovely, well-built cars. Additional money can only mean good things for it and Lotus. Neutral: Does It Actually Make A Difference To The Consumer? Are you loyal to a particular taxi or ride-hailing service like Uber? Or do you, the customer, just choose whatever service is cheapest and most convenient?